Samsung is currently testing its Android 8.0 Oreo-based beta builds on Galaxy S8 and S8 Plus devices. The new Android Oreo builds bring a number of new features and changes. One such change that has come to light pertains to how the screenshots are named on Samsung’s latest Oreo builds. 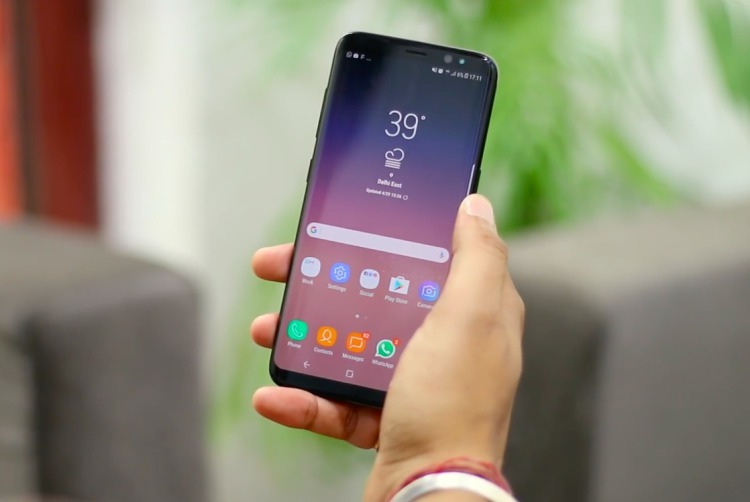 If you’re running the Android Oreo beta build on your Galaxy S8 device, then you’ll now be able to notice that when you take a screenshot, the file name of the saved picture features the name of the app that you’ve just captured. For example, you can check out the photos attached below to see that taking a screenshot in the YouTube app would make the filename read “Screenshot_YouTube_date.” All screenshots still end with the date and time of when it was captured, so that hasn’t changed. This minimal change to screenshot filenames on Samsung devices might be overlooked by most users but it is a nifty little addition. 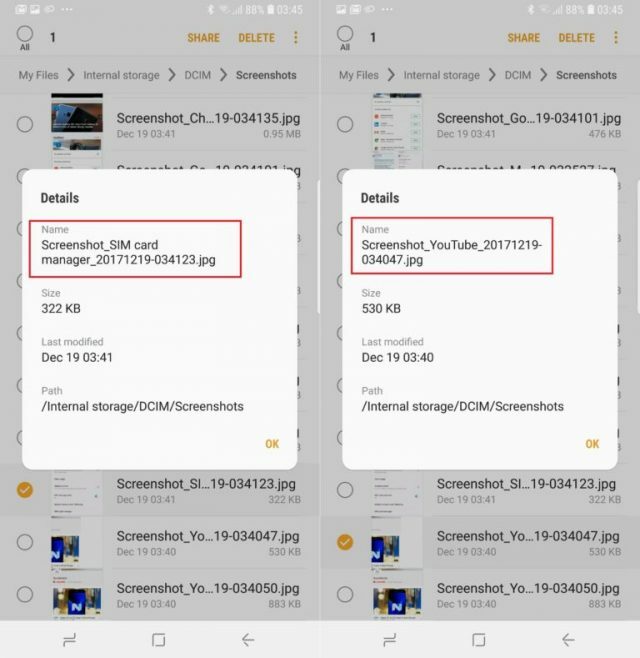 A similar functionality has always been present in Xiaomi devices, which includes the name of the signature in the filename of its screenshots. Though this change in the naming will come in quite handy for people, like us, who capture a lot of screenshots, many users are finding that the same is cluttering their Google Photos app. This is because Samsung saves the screenshots right within the DCIM folder, unlike the Pictures folder on stock Android. The Photos app surfaces the contents from the parent folder, which means screenshots are shown alongside all of the camera captures. It can be quite a nuisance to scour through all your pictures, so Samsung should probably fix that. Ignoring this minor issue, what is your opinion on the new screenshot naming criteria by Samsung? Let us know in the comments down below.